Disclosure: I received samples to facilitate this review; all opinions expressed are my own. One of my most favorite Christmas memories when I was a child was getting a bicycle. I can still remember it so clearly - it was hot pink and black. 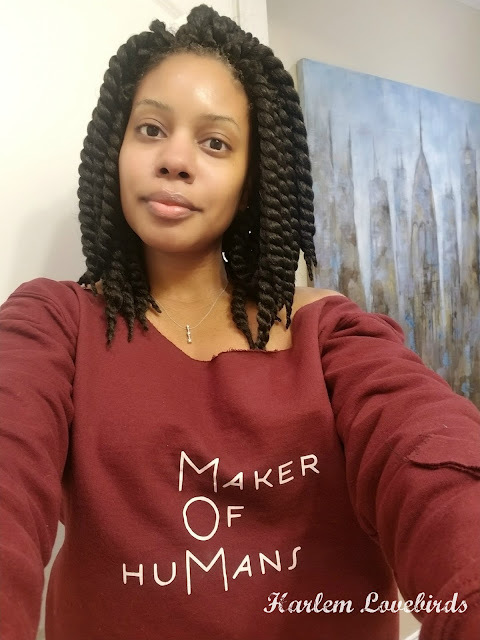 Despite the coldness of that Christmas day in Ohio, I ran out the door to give it a try and yes, I was quite the little diva on my bike. 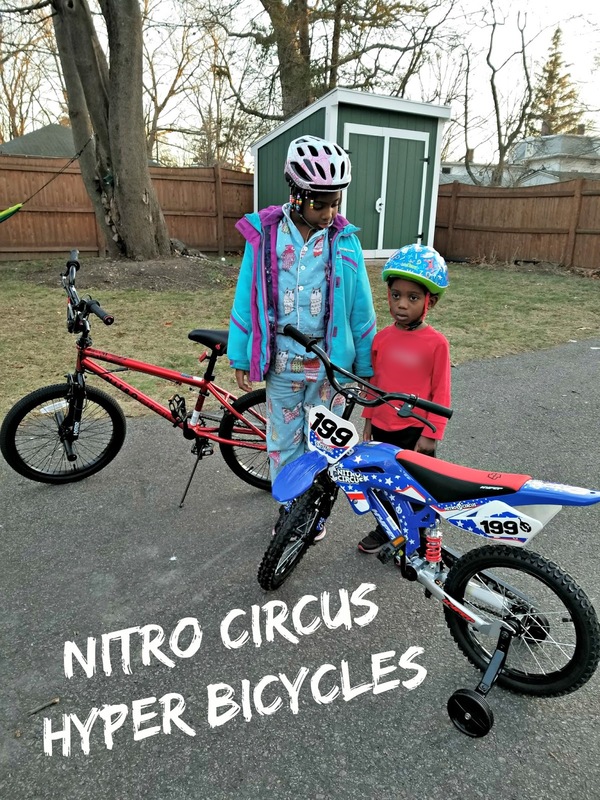 Now as a mom with active 3 and 7 year olds who are constantly engaged in some manner of obstacle course and stunts around the house, when Nitro Circus reached out to surprise them with bikes in time for Christmas I knew they'd be excited. Nitro Circus is world-renowned for its stunt DVDs and live shows and they just teamed up with Hyper Bicycles, known for their high-end BMX bikes in time for Christmas. Grayson received the Hyper 16" Nitro Circus Motobike Kids Bike for his upcoming transition from his balance bike (it's the same one Nia rode here, remember?) and Nia received the red Hyper 20" Nitro Circus BMX Kids Bike. Now as homeowners we have more space to not only ride bikes but to store them, and it turns out our "big kid" neighbor who we share our oversized backyard driveway with has a BMX bike that my kids enjoy watching him ride around. 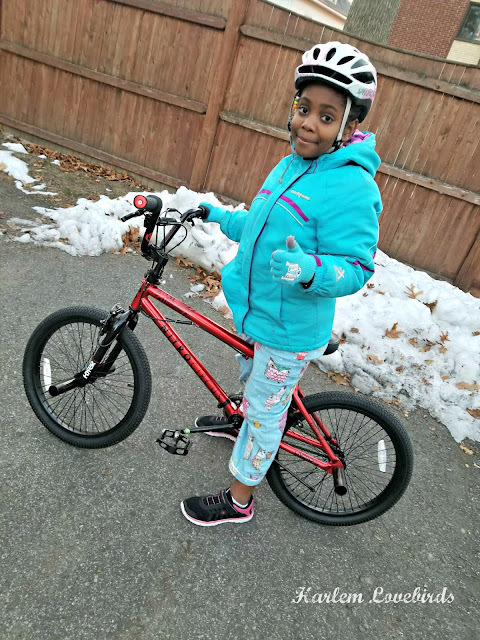 Nia and Grayson headed out to give their new bikes a try now that most of the snow has melted from our first big snowstorm a couple weeks ago. While waiting for spring to come, I look forward to Grayson growing into having the strength to use the pedals and for Nia to try a few stunts - she's a YouTube fan so when she found out her bike was an entry-level BMX bike she started asking me to go online to see some tricks (if you want to go down the rabbit hole check out Nitro Circus' YouTube channel!). If you're looking for an awesome bike for your kids that will inspire adventure and creativity, head to your local Wal-Mart to find the Nitro Circus Hyper Bicycles or online. 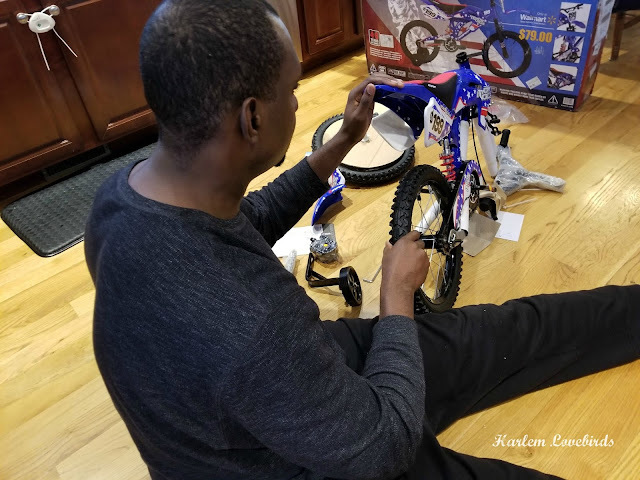 They're value-priced under $100 and as a special bonus this holiday season I'm sharing a heartfelt thank you to Nitro Circus as they sent an extra bicycle for me to gift locally! We have a few toy drives running in our neighborhood so we look forward to helping making a kid's Christmas dream come true. Do you have fond memories of getting a bike as a kid?